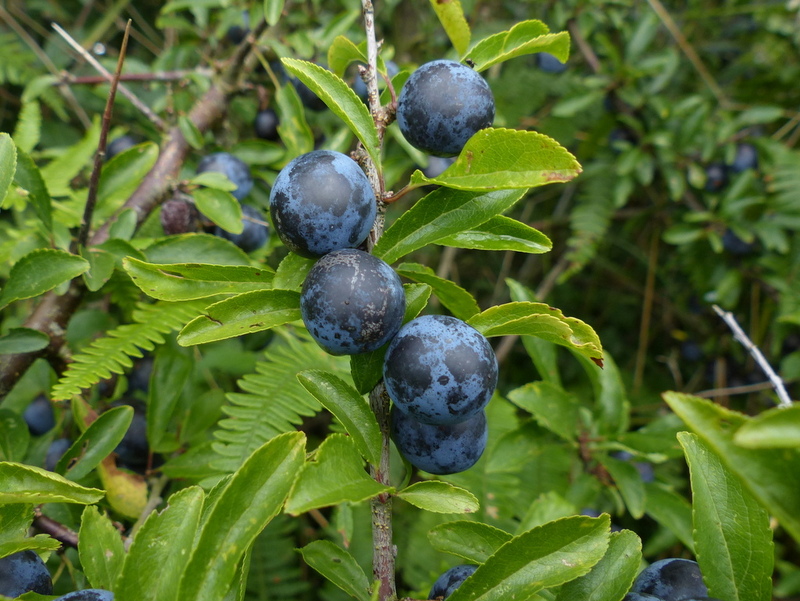 Blue is for Sloes. 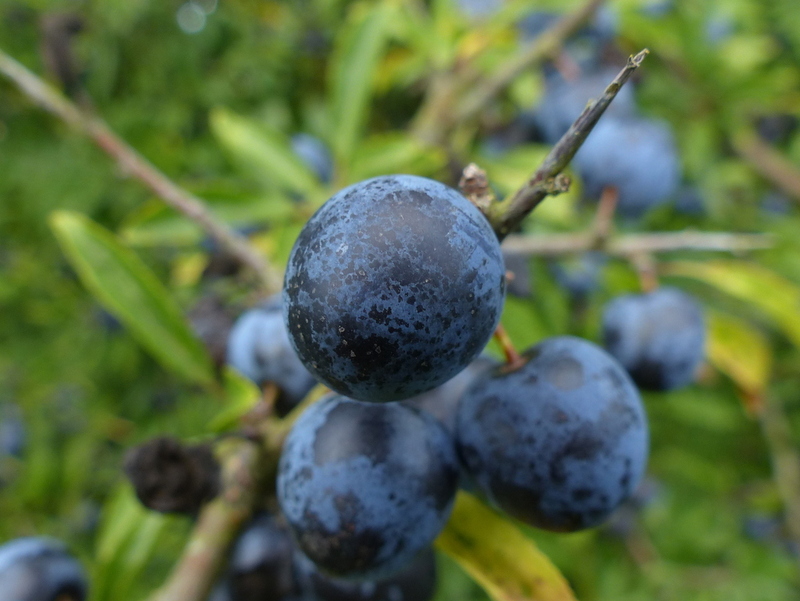 Blackthorn is the most wonderfully photogenic tree. 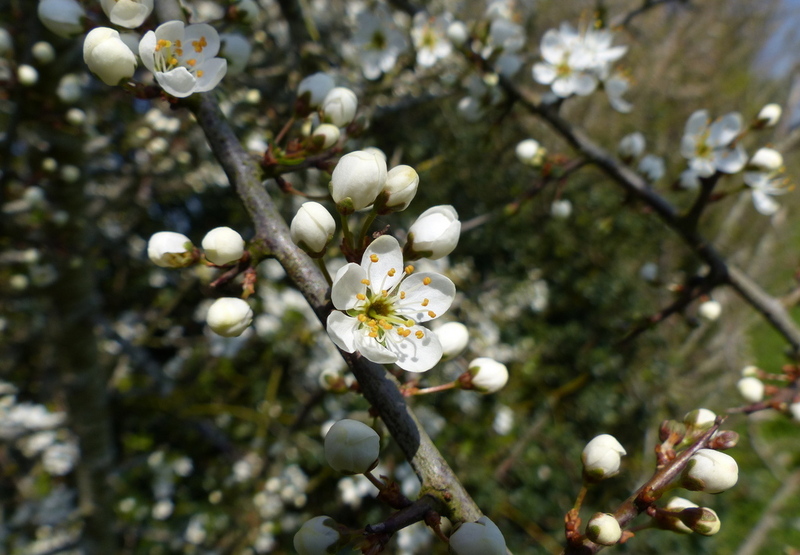 Blackthorn flowers appear before the leaves. Hawthorn, which looks very similar from a distance, gets it’s leaves first and then flowers. 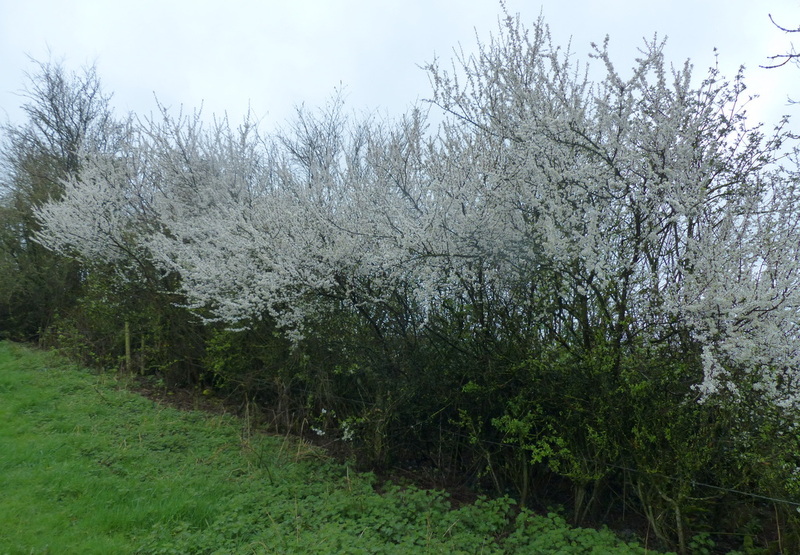 So when the hedgerow first turns white in March, that’s the Blackthorn and when it does it again in May that’s the Hawthorn. But this isn’t Spring this is Autumn and today we have berries. 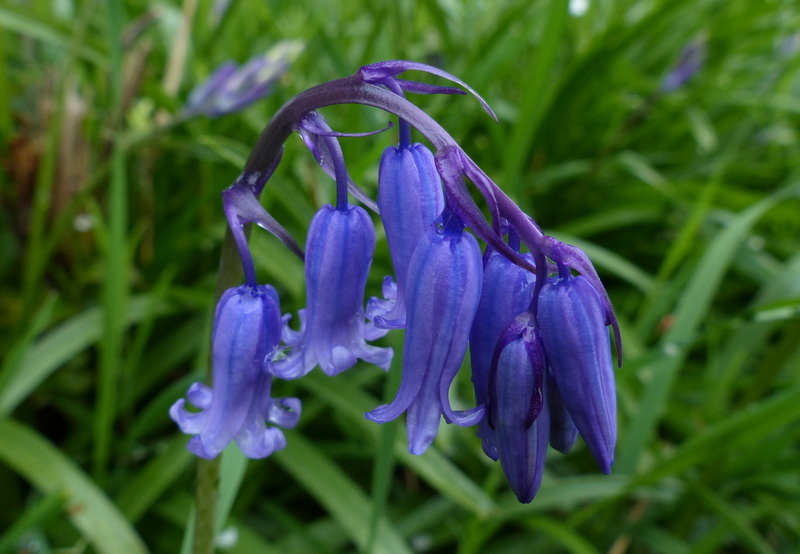 There is no confusion at this time of year. 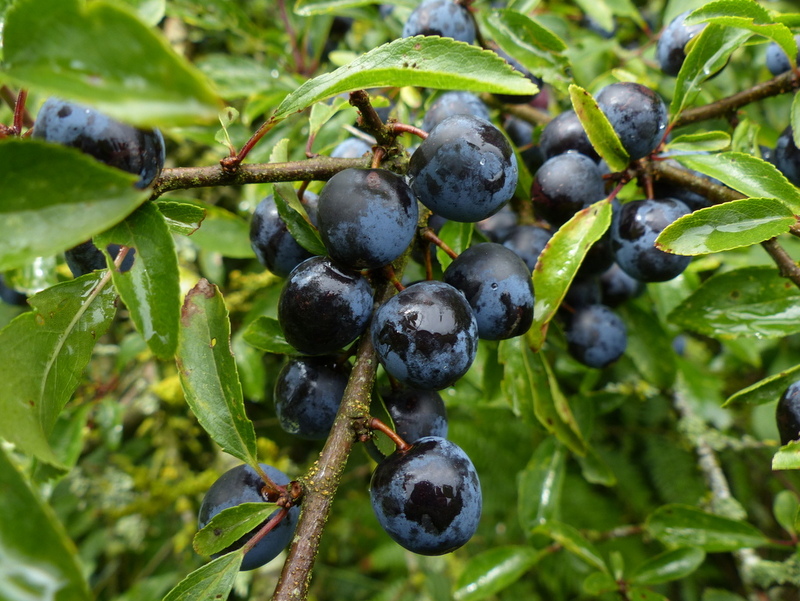 The fruits of the Blackthorn are big and plentiful and very beautiful. They look like grapes. Can you make wine out of them? Or some other form of social lubricant? 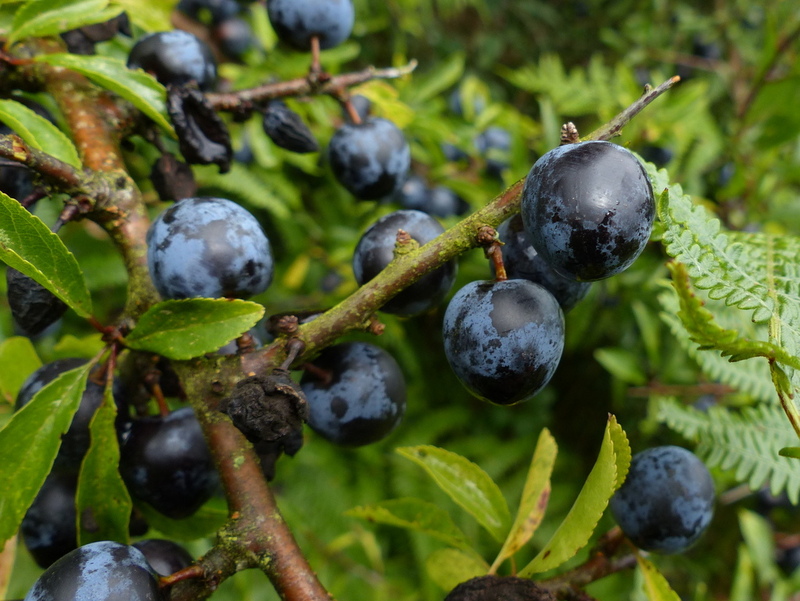 Are they sweet or tart? They look delicious! 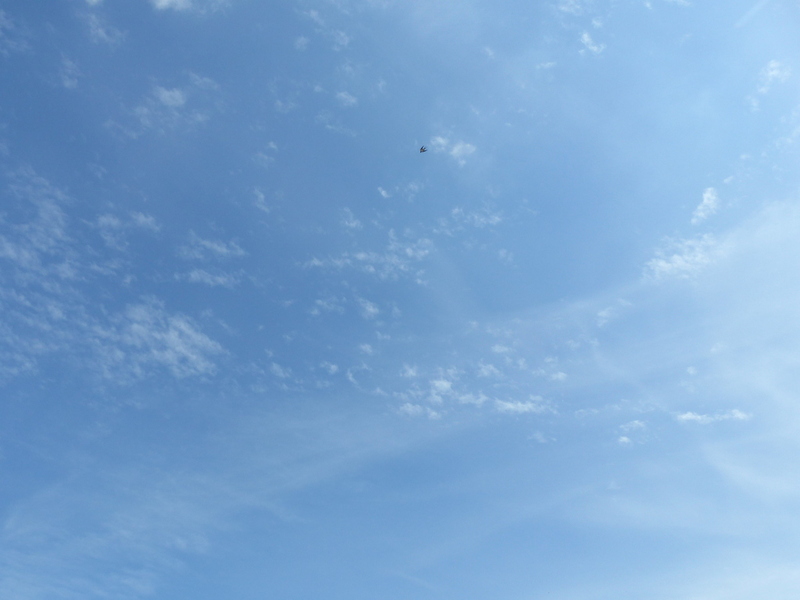 I bet the birds love them! 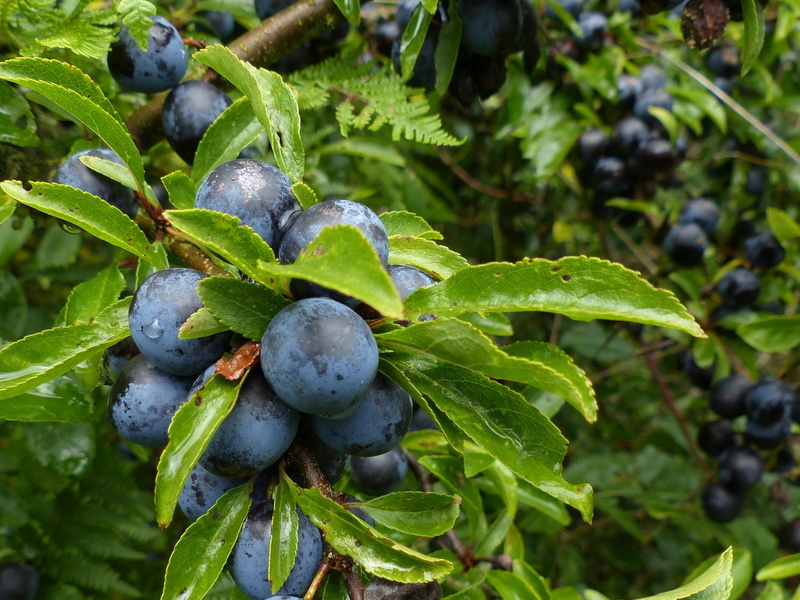 Will you be making sloe gin? Another lovely post. 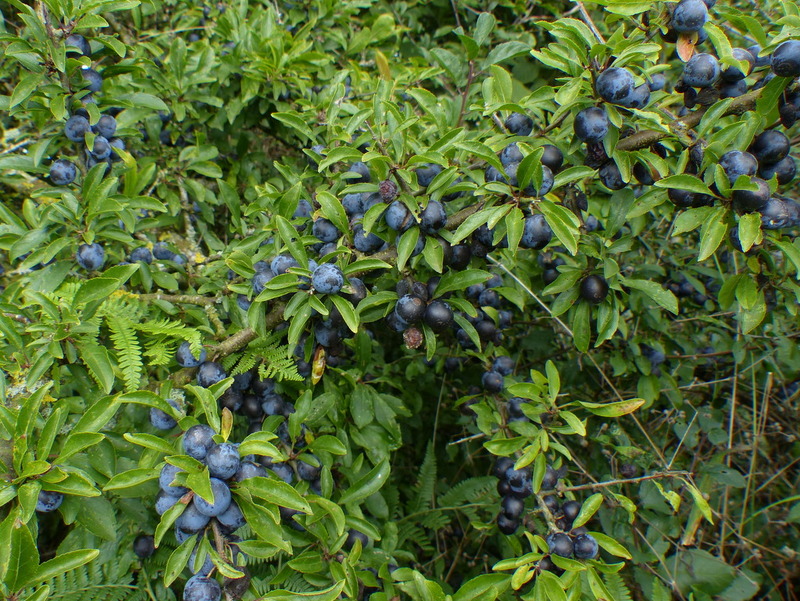 Would we have these bushes around Nottingham and I have just been sloe to notice them?